Using facial scrubs is a great way to achieve smooth and clean skin. Now isn’t that a reason enough for you to start using face scrubs already? Of course, face scrubs have various benefits for your skin. As a woman of the 21st century, you have to juggle office and home together. There are the damaging effects of pollution, dirt and impurities that wreck havoc on your skin. Dirt tends to clog the pores of the skin and the dead skin cells accumulate to impart a dull and lifeless look. Using Exfoliating your skin is thus all the more necessary to make your skin look young and healthy! A weekly exfoliation should be made an integral part of your beauty regimen along with cleansing, toning and moisturising. Scrubbing your face helps to do away with dead cells and other impurities. It stimulates the growth of fresh new skin cells that give you youthful looking skin. 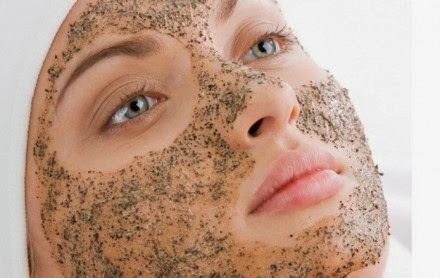 Using a face scrub makes your free from dirt and grime, which in turn imparts glow and radiance to skin. It prevents flakiness and dryness of skin. When you use facial scrub, you help your night creams and acne treatment lotions function more effectively. It stimulates your skin by improving circulation of blood, which in turn promotes firm skin. HOW TO SCRUB YOUR SKIN TO REAP MAXIMUM BENEFITS? DO NOT be harsh on your skin. Avoid scrubbing your skin too vigorously. Be gentle on your skin and use circular motions. NEVER scrub your skin on a daily basis. Using facial scrubs should be limited to twice a week. DO NOT keep scrubbing for a long time. It should be limited to a couple of minutes. It is better to use facial scrubs at night to avoid photosensitivity. Follow up with a light toner and mild moisturiser after you have scrubbed your face clean. If you have sensitive skin, a patch test is recommended and make sure you choose a scrub meant for your skin type. Scrubbing works wonders for your skin. Whether you wish to invest in a good quality facial scrub from your favourite brand or just whip up a creamy homemade scrub using such ingredients like brown sugar and ground almonds with yogurt or mashed papaya, you must exfoliate your skin once a week to get healthy and smooth skin. Scrub your skin clean and look gorgeous! Next story Deborah Milano – Eyebrow Perfect Super Precision Brow liner N 03 – Dark Brown -Review and Swatches.